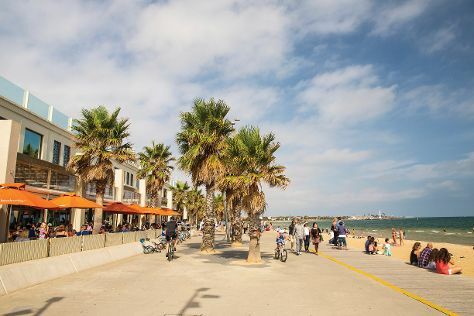 Get outdoors at Nature & Wildlife Tours and St. Kilda Beach. Let the collections at Sovereign Hill and Phillip Island Grand Prix Circuit capture your imagination. Go for a jaunt from Melbourne to Cowes to see Koala Conservation Centre about 1h 35 min away. The adventure continues: wander the streets of Melbourne Central, steep yourself in history at Cooks' Cottage, and get a sense of history and politics at Parliament House of Victoria. For photos, reviews, ratings, and tourist information, refer to the Melbourne trip tool . London, UK to Melbourne is an approximately 24-hour flight. You can also do a combination of flight and shuttle; or do a combination of flight and train. The time zone difference when traveling from London to Melbourne is 10 hours. Expect a bit warmer weather when traveling from London in October: highs in Melbourne hover around 24°C, while lows dip to 9°C. Wrap up your sightseeing by early afternoon on the 8th (Tue) to allow time for travel to Sydney. 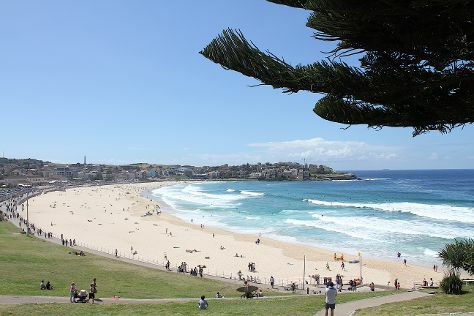 Get outdoors at Bondi Beach and The Opera House to the Botanic Gardens Walk. Visit Manly Beach and Clovelly Beach for some beach relaxation. There's lots more to do: see a show at Sydney Opera House, see the interesting displays at Hyde Park Barracks Museum, admire the masterpieces at Australian Centre for Photography, and browse the exhibits of Justice & Police Museum. To see more things to do, where to stay, ratings, and tourist information, refer to the Sydney journey app . Fly from Melbourne to Sydney in 3.5 hours. Alternatively, you can do a combination of shuttle and flight; or drive. Traveling from Melbourne in October, things will get somewhat warmer in Sydney: highs are around 28°C and lows about 17°C. 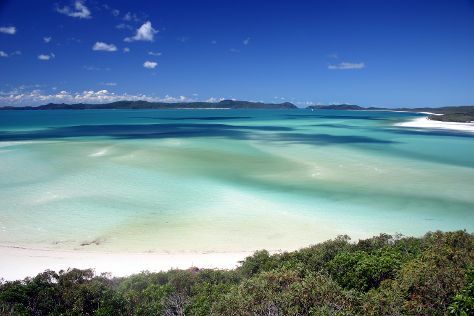 Wrap up your sightseeing on the 12th (Sat) early enough to travel to Whitsunday Island. Start off your visit on the 13th (Sun): explore the wealth of natural beauty at Whitsunday Islands National Park and then kick back and relax at Whitehaven Beach. To see maps, ratings, and more tourist information, go to the Whitsunday Island planning tool . Traveling by flight from Sydney to Whitsunday Island takes 4 hours. Alternatively, you can do a combination of flight and bus; or take a train. When traveling from Sydney in October, plan for somewhat warmer days in Whitsunday Island, with highs around 34°C, while nights are about the same with lows around 19°C. Cap off your sightseeing on the 13th (Sun) early enough to travel to Port Douglas. Step out of the city life by going to Scuba & Snorkeling and Four Mile Beach. Spend the 16th (Wed) spotting exotic species with a safari tour. There's still lots to do: get to know the resident critters at Wildlife Habitat Port Douglas, view the masterpieces at Des Spencer Galleries, and stop by With Sugar. To find ratings, more things to do, and more tourist information, go to the Port Douglas trip planner. Traveling by combination of flight and shuttle from Whitsunday Island to Port Douglas takes 4 hours. Alternatively, you can do a combination of bus, flight, and shuttle; or take a train. Traveling from Whitsunday Island in October, Port Douglas is somewhat warmer at night with lows of 23°C. Cap off your sightseeing on the 16th (Wed) early enough to go by car to Cairns. Escape the urban bustle at Scuba & Snorkeling and Palm Cove Beach. When in Cairns, make a side trip to see Village Gallery in Palm Cove, approximately 36 minutes away. Spend the 19th (Sat) wandering through the wild on a nature and wildlife tour. There's more to do: trek along Esplanade Boardwalk. To see ratings, photos, reviews, and tourist information, read Cairns trip maker app . Traveling by car from Port Douglas to Cairns takes 1.5 hours. Alternatively, you can take a bus; or take a shuttle. In October in Cairns, expect temperatures between 34°C during the day and 24°C at night. Cap off your sightseeing on the 19th (Sat) early enough to travel to Melbourne. Let the collections at Melbourne Museum and The Johnston Collection capture your imagination. Visiting Melbourne Zoo and Nature & Wildlife Tours will get you outdoors. Step out of Melbourne with an excursion to Ricketts Point Marine Sanctuary in Beaumaris--about 34 minutes away. 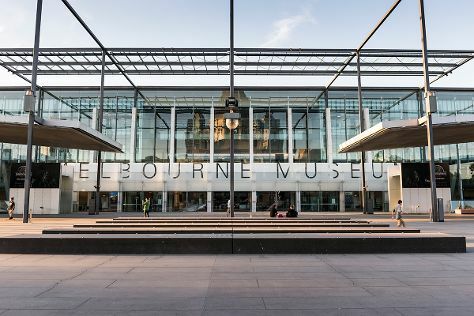 Enjoy Melbourne some more: admire the masterpieces at National Gallery of Victoria, contemplate the long history of Old Safety Deposit Building, browse the different shops at Melbourne Central, and take a memorable tour with Tours. To see other places to visit, ratings, photos, and tourist information, use the Melbourne day trip tool . Traveling by flight from Cairns to Melbourne takes 6 hours. Alternatively, you can drive; or take a train. Traveling from Cairns in October, expect nights in Melbourne to be much colder, around 9°C, while days are a bit cooler, around 24°C. Wrap up your sightseeing by early afternoon on the 25th (Fri) to allow enough time to travel back home.